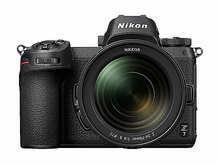 The Z7 and Z6 are equipped with a new backside illumination full-frame, Nikon FX-format CMOS sensor with built-in focal-plane phase-detection AF and the latest image-processing engine, EXPEED 6. 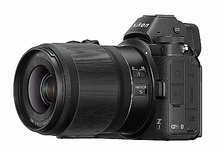 The Z7 has 45.7 effective megapixels, and supports a standard sensitivity range of ISO 64–25600. In combination with NIKKOR Z lenses, the camera achieves an outstanding level of sharpness and detail, all the way to the edges of the image. The Z6 is an all-purpose FX-format camera with an effective pixel count of 24.5 megapixels, and supports the wide range of ISO 100–51200 standard sensitivities. With superior performance at high sensitivities and full-frame 4K UHD movie recording with full pixel readout, the Z 6 responds to a variety of needs, such as shooting in dimly lit environments, and movie recording. 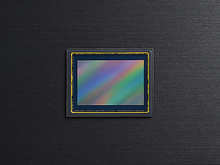 A backside illumination CMOS sensor, with built-in focal-plane phase-detection AF points, has been adopted for both the Z7 and the Z6. 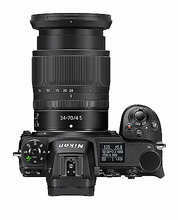 The Z7 has an effective pixel count of 45.7 megapixels, and supports ISO 64–25600 range of standard sensitivities (reduction to the equivalent of ISO 32 and expansion to the equivalent of ISO 102400 is also possible). The Z 6has an effective pixel count of 24.5 megapixels, and supports a broad range of standard sensitivities, from ISO 100–51200 (additional reduction to the equivalent of ISO 50 and expansion to the equivalent of ISO 204800). The Z7 has 493 focus points* and the Z6 has 273, enabling broad coverage of approximately 90% of the imaging area both horizontally and vertically. This hybrid AF system uses an algorithm optimised for the FX-format sensor, to automatically switch between focal-plane phase-detection AF and contrast-detect AF with focusing. The use of NIKKOR Z lenses further maximises AF accuracy with both still images and movies. The Z7 and Z6 are equipped with the new EXPEED 6 image-processing engine. Employing the superior resolving power of NIKKOR Z and NIKKOR F mount lenses, subjects are rendered more sharply than ever before. Noise is also effectively reduced. 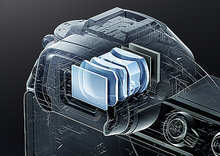 The electronic viewfinder adopted for the Z7 and Z6 is comfortable and easy to use, comparable to optical viewfinders. 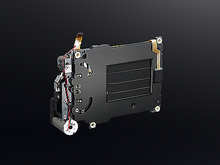 Both cameras are equipped with an electronic viewfinder for which an approximately 3,690k-dot OLED panel has been dot OLED panel has been adopted. 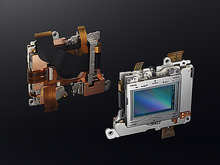 The electronic viewfinder has, respectively, frame coverage and magnification of approximately 100% and 0.8×, as well as an approximately 37.0° diagonal viewing angle. It draws on Nikon's superior optical technologies and image-processing technologies, ensuring a clear and comfortable view comparable to that of optical viewfinders, with reduced aberration and minimum eyestrain, even during extended shoots. Furthermore, a fluorine coat that effectively repels dirt has been applied to the eyepiece protection window. 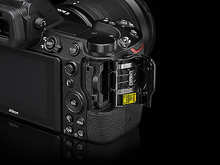 In addition, the <i> menu can be displayed in the electronic viewfinder, allowing users to quickly view and adjust a variety of shooting settings, including ISO sensitivity, AF-area mode, and Picture Control, all while looking through the viewfinder. 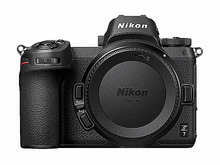 The Z7 and Z6 have inherited the superior operability that Nikon has cultivated over the years through its development of cameras. 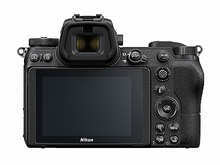 The bodies are compact, while boasting a firm grip that is easy to hold, and buttons such as that for the sub-selector, AF-ON, ISO, and exposure compensation are all placed so that they can be operated swiftly and easily. 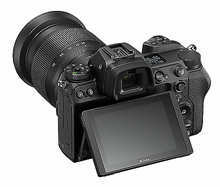 Additionally, a display panel has been placed on the top part of the camera, where information about settings can be displayed, same as with high-end digital SLR camera models. The Z7 and Z6 support recording of not only full-frame 4K UHD (3840 × 2160)/30p movies using the FX-based movie format, but also full-HD/120p movies. Sharper 4K UHD movies are made possible, using the full-pixel readout. *1 Additionally, Active D-Lighting, electronic vibration reduction, and focus peaking can be used with 4K UHD and full-HD movie recording. 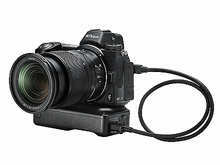 Nikon’s original N-Log can also be used with 10-bit*2 HDMI output. The cameras utilise extensive colour depth and twelve-stop, 1,300% dynamic range to record*3 a wealth of tone information from highlights and shadows for more effective colour grading. Timecode support makes synchronising video and sound to footage recorded across multiple devices easier. Additionally, the control ring built into NIKKOR Z lenses can be used to quietly and smoothly adjust settings such as aperture and exposure compensation. *1 Excluding FX base movie format for the Z7. *2 Simultaneous recording of 4K UHD movies with 10-bit output to the camera's memory card is not possible. *3 Not available when shooting slow-motion movies. The Z7 and Z6 are equipped with in-camera vibration reduction (VR). The VR unit provides compensation for movement along five axes. 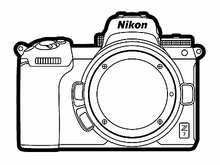 The effects of vibration reduction are equivalent to a shutter speed increase of approximately 5.0 stops*1. This function can also be used effectively with NIKKOR F lenses, including those not equipped with a VR function, with the FTZ mount adapter (sold separately)*3. *2 Measured in accordance with CIPA standards (using the NIKKOR Z 24-70mm f/4 S at the telephoto zoom position). 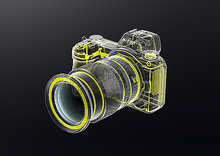 *3 The level of compensation achieved when a NIKKOR F mount lens is used is not as high as when a NIKKOR Z lens is used. 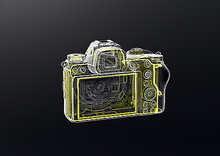 *1 Can only be confirmed using the camera with which focus shift was performed. *2 Third-party software is required. 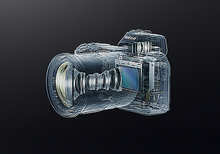 *4 With interval timer shooting or time-lapse movie recording with silent photography and exposure smoothing enabled. The MB-N10 battery pack that is currently in development will hold two EN-EL15b rechargeable Li-ion batteries, effectively increasing the number of shots possible and/or movie recording time by approximately 1.8×. It will provide the same level of dust and drip resistance as the Z7 and Z6, and will support USB charging using the EH-7P charging AC adapter.